Wecome to the beautiful La Jolla Cove? 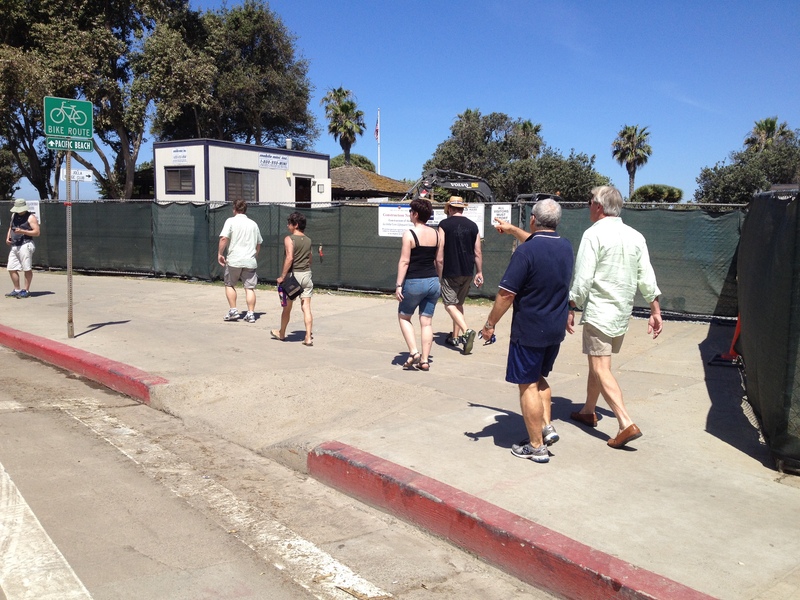 La Jolla Community Planning Group (LJCPA), at their May 1st meeting, voted to deny the City’s request to waive a Summer Moratorium so the construction of the two Lifeguard towers at the La Jolla Cove and the Children’s Pool could continue. The LJCPA is recognized by the City to make recommendations to City Council the Planning Commission and City staff on land use matters. 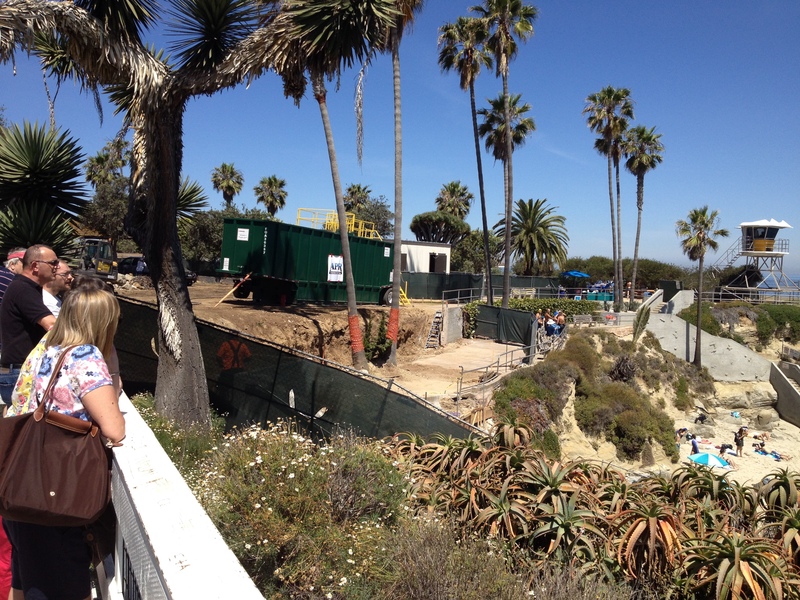 Mr. Jihad Sleiman, the City engineer in charge of the La Jolla Cove and Children’s Pool Lifeguard projects, asked the LJCPA for an exemption from the summer moratorium so the construction of the new Cove and Children’s Pool Lifeguard towers could be completed by December of 2014. Mr. Sleiman explained, “If the summer construction moratorium must be observed the construction could be delayed until Memorial Day of 2015” he stated. Trustee Patrick Ahern made a common sense attempt to grant Mr. Sleiman’s request, but his motion was defeated by a 3-7-1 vote. Trustee Janie Emerson stated “I am so sick of the city coming to us and asking us to vacate the construction moratorium”. “This is one of the iconic places to come in the world”. Well Mrs. Emerson, the above pictures reflects the iconic views visitors will enjoy this summer while visiting La Jolla. This just in from a La Jolla Association member, apparently due to the delay in construction, “The 84th annual La Jolla Rough Water Swim has released a statement that the 2014 event has been canceled due to the delay in construction of a new Lifeguard tower and bathroom renovation at the La Jolla Cove”.